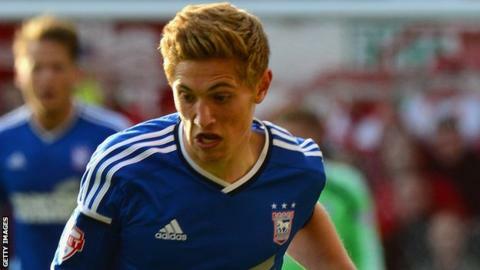 Ipswich Town youngster Teddy Bishop has the makings of ex-Chelsea man Ray Wilkins, says club legend Mick Mills. Mills played with Wilkins for England, and has compared 18-year-old Bishop's role as a deep lying playmaker to the style of the former midfielder. "He's like a quarterback," Mills told BBC Radio Suffolk. "He's so young to be doing that sort of thing. I remember playing with Ray and that is all he would do - never going beyond the ball but always supporting." Mills, who played more than 700 times for Town between 1966 and 1982, added: "Teddy has got this art of setting himself up behind where the play is and he's doing it very well. If he continues to do it he will be a very useful player." Wilkins' 27-year playing career included 84 international caps and spells at Manchester United, Milan and QPR, during which he was renowned for his propensity to pass the ball sideways. Youngster Bishop has made just 15 appearances, including nine starts, since his debut in August. But he has impressed so far in his fleeting career and was instrumental in both of Town's goals during Saturday's 2-0 win over Middlesbrough, a result that took Mick McCarthy's men up to second in the table. "I think we should just let him thrive and blossom," said McCarthy. "There will be clubs looking at him, I know. He will play in the Premier League - he should do it with us. "Let's see if we've got a chance if going up first before anyone tries to drag him out of the door."